Preventing or curing dampness is still the biggest, most frequently encountered maintenance problem, and it is essential to find the real trouble before spending money on remedial work. 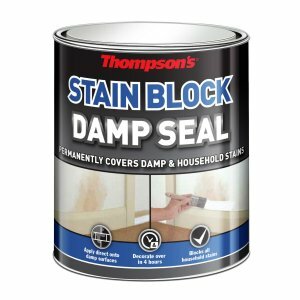 The four main areas of dampness in buildings are rain penetration, condensation, rising damp and moisture introduction during construction. Damp can be unsightly and lead to problems later on. In the UK, the ground is almost always damp (to a greater or lesser extent) and normal building practice includes the provision of some form of damp proof course to prevent this damp rising to the main structure. It is not uncommon for this damp proof course to become ‘bridged’ as a result of poor rendering or to become defective with age. Many old buildings were built without a damp proof course and if the foundations rest in waterlogged soil, rising damp can be the result. Rising damp usually carries hygroscopic (moisture attracting) salts from the ground into the walls and floors. 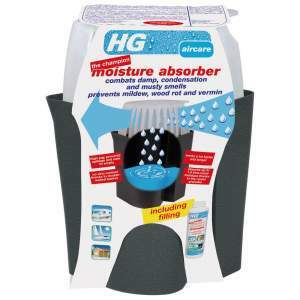 These salts may cause damp patches whenever the air is moist (through weather conditions, cooking or washing etc). 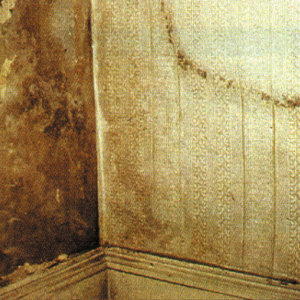 Dampness due to hygroscopic salts is persistent and will show indefinitely unless the walls are lined or replastered. Preventing damp is still the most frequently encountered maintenance problem. The slightest defect in the substrate or construction can let water in. Normal building design and construction is almost primarily aimed at keeping out rain. To do this effectively needs considerable attention to detail at all stages, so therefore it is not surprising that defects in construction often occur. 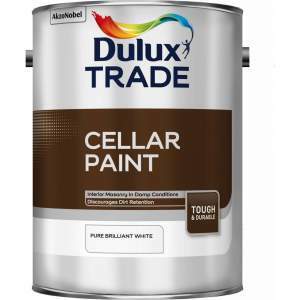 The defect might seem quite trivial, for example, dropping mortar on a cavity tie – but the result can still be damp. Slight misfits between window or door frames and the walls result in moisture penetration. Most commonly, rain penetrating into a house, especially where it has been dry for some years, is the result of something like a slipped tile or flashing lifting. The cure is usually a repair. It is also worth noting that in some forms of construction a damp proof course might be there to prevent moisture penetrating in a downward direction. In some cases rain might penetrate a wall because the material used in the construction of the wall has become porous – this is most common in older buildings with solid wall construction. 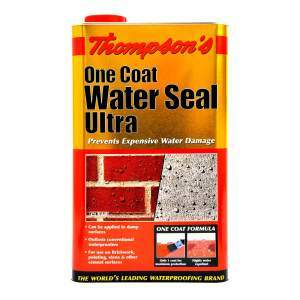 If so, a cure may be effected by applying a water-repellent treatment to the outside wall. Letting a damp problem escalate can result in a bigger outlay later on to rectify the issue. Condensation is a common issue. 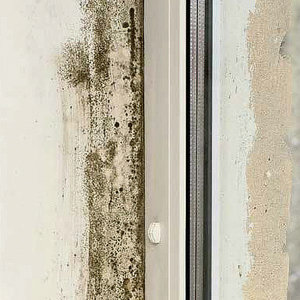 Condensation – where humid air condenses on cold surfaces – often presents the greatest difficulty in diagnosis. 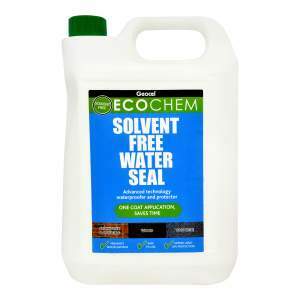 It is often responsible for surface mould growth on walls, wood and even furniture. When the warm, humid air finds its way into cold roof spaces even in ordinary domestic dwellings, condensation can raise the moisture of the timbers to the level where decay can occur. The risk is greatest in unventilated flat roofs, particularly when they are of the ‘cold roof’ type of construction. This is where any insulating layer is placed immediately above the ceiling and there is no thermal insulation immediately below the roofing. 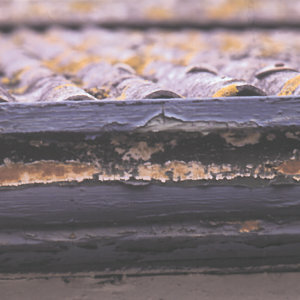 The risk of condensation in pitched roofs is increased by thermal insulation at ceiling level keeping temperatures in the roof void low; reduction of ventilation within the roof space by blocking eaves etc with insulation material; water evaporation from uncovered water tanks, central heating header tanks, etc. In houses the moisture that condenses mainly originates in either the kitchen or the bathroom, but it can condense anywhere there is a cold surface – cold bedrooms, on water pipes, cold lintels above windows etc. The best cure is to provide ventilation by removing the water vapour at source and so reduce humidity. 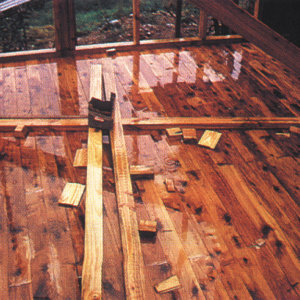 New builds can also be prone to damp while the new materials dry out. Wood on building sites will absorb moisture when exposed to the elements. Much ‘dampness’ is put into a building during its construction. Traditional building methods use considerable quantities of water in concrete, mortar and plaster. This takes several months to fully dry out. Timber skirting or other fittings fastened to wet plaster will absorb water from the material to which they have been fixed and may then decay. Window frames, roof trusses, pre-fabricated wall and floor sections, timber for wall and partition studding, floors, etc must all be stored on site prior to installation. If laid on wet ground or not protected from the rain they will take in moisture. A particular hazard of timber frame building is where the timber frame, often including floor timbers, is exposed to heavy rain before the roof is complete. For more decorating insights, Brewers News and events join the conversation on Facebook and Twitter.